​our sponsors for their support! ​Please support them with your patronage! 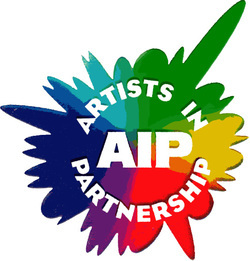 ​Sponsor Application and become a sponsor right now by using the links below. We are happy to create customized sponsorship packages! Carstan Construction is proud to have served over 30,000 homeowners across Long Island. Carstan Construction is dedicated to helping our customers with all their home improvement needs, and is determined to ensure customer satisfaction. Carstan and its skilled and experienced team have earned a five-star reputation throughout Long Island for their superior workmanship. With over 35 years of experience Carstan Construction is committed to providing perfection down to the smallest detail. The Bark of Style was created in 2016 and launched in 2017 offering stylish and wearable clothing a dog should experience. We wanted to create a brand that focuses on dogs looking as trendy as their owners with jeopardizing the wearability. Give the gift of comfort. ​My name is Bubblez, or Jessica White, and I have been clowning around for not three, not four, but five years now. Clowning is more than a job–it's an art to me. I love to make people of all ages smile. NutriMost is an exciting, customized weight loss and wellness program that uses cutting edge technology to help you reach your health goals. The NutriMost Program works to find your body’s specific weaknesses, balance the imbalances and strengthen your body to reach optimal health. No other weight loss and wellness program can compare. 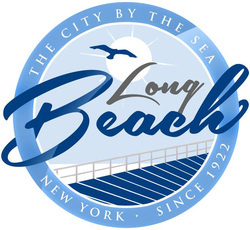 Long Beach, NY - The City By The Sea. Andy Arluck of Cruise Planners, has a tremendous reputation for quality, service, and very competitive pricing for ALL of your travel needs. Andy will help you discover exciting adventures around the world. From cruises to land tours and completely packaged vacations, Andy specialize in all types of travel and will create an unforgettable vacation just for you. ​andyslandseatravel.com. ​Harvest Power was established in 2008 as a program of Friendly Construction to help property owners achieve energy efficiency through solar. Hulafrog is a website and email newsletter for moms, dads and anyone with kids looking for the scoop on the best local events, destinations & deals for families. Consider us your go-to guide to life with kids in Town of Hempstead and beyond. 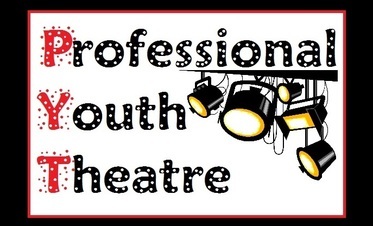 Check us out at hulafrog.com/town-of-hempstead-ny. Island Park Car Wash - Everything your car needs in one location! Car Wash & Detail Center, Mobil1 Lube Express and Mike's Complete Auto Repairs. ​Open 7 days a week. 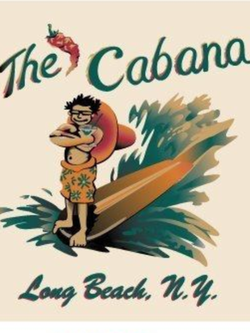 Conveniently located a few steps from the IP LIRR Station. Drop your car in the morning. Pick up your car on your way home. Established in 2005, Kala Brand Music Co. is one of the fastest growing music companies in the US. We design, manufacture and build ukulele models for every level musician. Come try out a Kala uke at our Long Beach reseller Studio Noir! The Long Beach International Film Festival (LBIFF) will celebrate its 6th anniversary with an action-packed line up of independent and studio films from around the globe. Scheduled to take place from August 1 - 4 on Long Island, the Festival will screen an international slate of over 50 films, including feature-length narrative, documentary, short and animated that will compete for a series of Jury, Festival Honors and Audience Awards. Pretty Finger is a Studio Noir multi-instrumentalist who performs blues, jazz and rock with Stormy Wednesday and other projects. or give us a call at 516-808-5770. 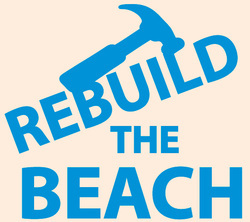 Rebuild the Beach aims to help City of Long Beach community members through apparel fundraising. Hip and super comfy beach wear! Sammi Hoop - Hoops! Joy! Love! *Fabric Hoops - Hoops that evolve like your favorite pair of jeans. *Hoop Instruction - Hoop classes for adults and kids. 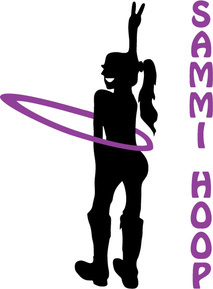 *Hoop Parties - Add Sammi Hoop to your next gathering and get your party hooping! *Summer beach classes Wed at 7pm! Studio Noir is a boutique music school in the West End of Long Beach, with a unique style that combines over two decades of progressive and award winning music education techniques to bring our students the joy of music. Master Instructor Benoir has developed his highly praised teaching technique by combining his experience as a global touring artist, director of music camps, director of music education, and private lesson guru. His one-of-a-kind, award-winning method has helped students of all ages (3 and up) and skill levels become well rounded musicians on and off the stage. ​The Bungalow has 2 convenient locations that serve and deliver to Long Beach, Atlantic Beach, Lido Beach, Island Park, and Beachside. 669 E Park Ave and 945 W Beech St. The Bungalow has been serving up the most creative dishes this side of Manhattan for the past 8 years! Our chefs are constantly coming up with new and tasty items for our guests to enjoy. ​With extensive class offerings and a staff of leading professionals from New York City's dance scene, students of all ages and abilities continue to return to The Dance Loft year after year. Serious students are drawn to our structured ballet program and challenging classes in jazz, lyrical, hip-hop, tap, and acro; our ongoing masterclasses featuring stars of Broadway Shows, members of the Radio City Rockettes, and dancers from major professional dance companies; and our award-winning competition team that combines impressive technique with great artistry and story-telling. Recreational dancers enjoy our wide range of class offerings that allow students to develop at their own pace. 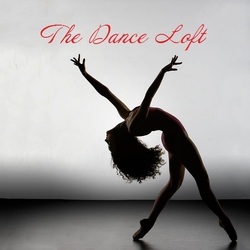 The Dance Loft offers one of the only adult dance programs on Long Island, and we welcome adult students of all levels and ages. We also offer Boys' Hip-Hop, a popular choice for young men of all ages. We encourage you to stop by our beautiful loft space located in the heart of Long Beach, NY at 160 W. Park Avenue. We look forward to dancing with you soon! Visit DanceLoftLB.com for more information, or give us a call at 516-889-STEP. ​Yoga Nanda began as an idea: home. Our studio thrives on bringing what we learn on the mat into our lives. We practice heated/non-heated vinyasa, & ashtanga. We have grown into 3 locations! Yet the core of who we are as one, united and blossoming community remains the same: to be a home base for those who have a greater purpose. This is your spiritual home. We can’t wait to call our studios home with you. We can’t wait to help you find your greater purpose. We can’t wait to practice with you.